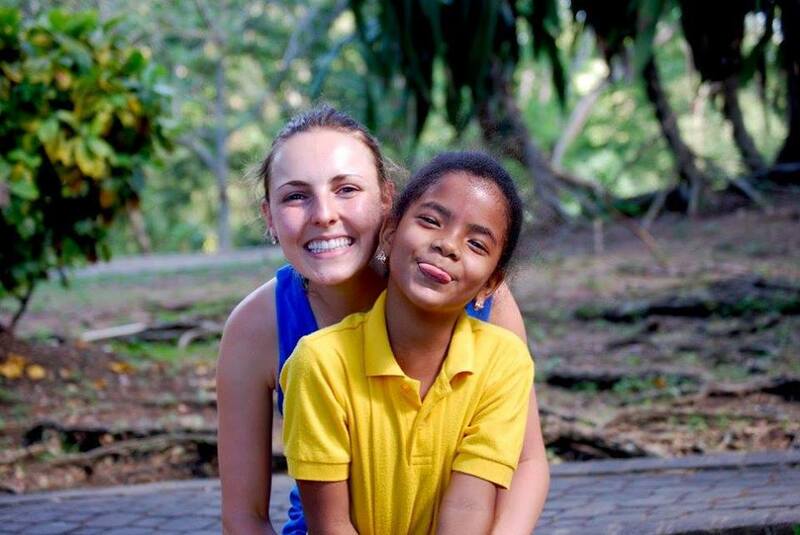 The trip to the Dominican Republic opened my eyes and changed my perspective in many aspects. When I applied for the study abroad two-week course, I was primarily doing it for the global credit. What I didn’t realize at the time was that I was going to have a very powerful experience. I was encouraged while I was in the D.R. and I am still learning from my involvement there. It is so crazy to me that most of the people living in the D.R. have so little, yet are full of so much joy and love. Through several of the Dominican’s stories, it is clear that they had to persevere through their hardships; joy was not just handed to them. Most of the kids have been through more than I ever will and through all of their adversities, they have found God and choose to live a life full of joy. Until I saw first hand what it means to have absolutely nothing to one’s name, I didn’t understand the feeling of gratefulness. In a way, my time in this third world country made me feel guilty for the way I grew up and all that I have been given. Don’t get me wrong, I am eternally grateful for the life I have. However, while I was standing in a barrio the size of my room, I couldn’t help but feel apologetic. I value the culture that the Dominicans live in and wish that more people in the world were as selfless as they are in the D.R. It amazes me that a woman with completely nothing would sacrifice her only can of beans as a welcoming gift. The Dominican people we encountered on our trip are the definition of selfless. They welcome any American into their tiny home and offer them all that they own. The act of selflessness is one of the biggest takeaways I have from this study abroad trip and is a characteristic I hope to acquire. Through my experiences in the D.R., I came back so thankful for the way I was raised and how I continue to live. My life at home is pretty predictable, which I find comfort in. While we were in the D.R., there were several instances of unpredictability that we had to adapt to. I adjusted well when those occurrences happened, but I repeatedly thought how lucky I am that this instability does not arise often at home. To a Dominican, the water and electricity shutting off in the middle of the week is a normal event, but to an American, that is out of the ordinary. Who knew that when the plumbing is bad, you have to put the toilet paper in the trashcan and pour water into the toilet just to flush it? Down to our plumbing systems here in America, I have learned that I take so much for granted. In the Dominican Republic, and throughout the world, in order to have joy one must endure hardships. I was particularly moved when I heard the testimonies of three young men where they revealed the difficult circumstances they have gone through. Although each of them had different stories, they all had great loses and horrible upbringings. I was appalled when I heard some of the incidences that occur not just in the Dominican, but also worldwide. I will never understand or accept how a parent can abuse or neglect their child. I cannot believe that parents abandon their children regularly and let them fend for themselves when the children can’t even tie their own shoes. Even though the Dominican children have to withstand very hard times, they learn from experience and become stronger from those difficulties they faced at a young age. I find comfort knowing that the children from very bad situations are in schools similar to ANIJA that provide endless care and love to the children. Although it is hard to believe, without those serious hardships, the children in Kids Alive programs would not be given as much affection as they do in the schools and care centers. It is so sad that a lot of kids do not even get the chance to attend school because there is so much neglect at home. Kids Alive International is an amazing organization and I am very delighted that I could provide service to and assist them with projects while I was in the Dominican Republic. Live simply, slowly, and intentionally. Living in the moment is something I generally strive to do, but since being home from the Dominican, I am trying to integrate this more into my everyday life. I saw this intentional quality in many of the Dominicans; even when they were not sure how to provide their family with food, they still enjoyed the moment they were in and would pray to God with thankfulness. Being a senior in my last semester of college, life is bittersweet. As much as I love being in college, I am ready to graduate and see how my future unfolds. Especially this last semester, I am consciously trying to take everything in and be deliberate with my actions because I will be done with undergrad before I know it. Living in the moment and forgetting about the future are qualities many people in the D.R. had. The fact that most of the people in the Dominican Republic are in poverty, yet are still mindful, challenges me to focus on the present. Living in poverty does not mean to be poor in spirit. Although they had more troubles to count, the Dominican people were full of so much life and happiness. I saw the joy in almost everyone and it was so contagious. The children had the biggest hearts and inviting smiles on their faces. I believe love is essential for proper well-being and development of any person, so I am overjoyed that the kids receive love daily at school. Schools that provide children with affection and give them the freedom to be kids are a huge gift. The manner in which the authority figures treated the children at ANIJA was very admirable. As I grow old and have children of my own, I want to encompass the compassionate quality the Dominicans had. Welcoming children with open arms, providing two meals, and giving the kids the care they deserve is such a blessing. I am very pleased I was able to provide service to wonderful communities in the D.R., support an amazing organization like Kids Alive, and learn a great amount from the experience. My eyes were opened to the evident and hidden struggles that occur worldwide, and now I believe I am a changed person because of it.